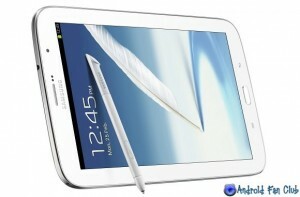 Samsung has recently announced Samsung Galaxy Note 8.0 at Mobile World Congress 2013. An amazing tablet with latest version of Android Jelly Bean v4.1.2. You can also term this tablet to be the direct competitor of Apple iPad Mini. 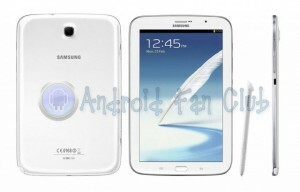 Samsung Galaxy Note 8.0 is supposed to be released in the second quarter of 2013. Galaxy Note 8.0 will have 32GB / 64GB versions and they will also receive 3G/LTE (capable of making regular phone calls in addition to data usage) or WiFi versions. The NOTE 8.0 is clocked at 1.6Ghz using Samsung’s own Exynos 4412 Cortex-A9 Quadcore CPU chipset and a Mali-400MP GPU for awesome gaming capabilities. S-PEN is able to interact with hardware capacitive keys in Galaxy Note 8.0. 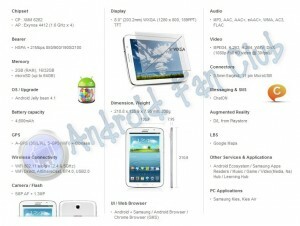 Below you can have the detailed specifications of Samsung Galaxy Note 8.0 in addition to the video review by Engadget. Samsung Galaxy Note 8.0 N5110 is the WiFi only version. Also termed as Samsung Galaxy Note 511, Samsung Galaxy Note 8 WiFi, while Samsung Galaxy Note 8.0 N5100 offers both 3G + WiFi and has the capability to make voice calls. Also termed as Samsung Galaxy Note 510, Samsung Galaxy Note 8 3G & WiFi. As always, make sure to leave your thoughts and reviews for Samsung Galaxy Note 8.0 in the comments section below.